Actress Vidya Balan is seeking for a success from a long time and unfortunately her latest offering Begum Jaan has also got failed to impress viewers. Despite the powerful performances of all the actors in lead and supporting roles, Srijit Mukherji’s directorial witnessed an average footfalls in theaters. The major reason behind this is the opposite highly buzzed release Fast And Furious 8. In the opening weekend, this action drama reported 25-30% of occupancy throughout and did the business of 11.48 crores, which was including 3.94 crores of Friday, 3.51 crores of Saturday and 4.03 crores of Sunday from limited number of 1100 screens. Now the movie is running in weekdays and asusual faced abrupt dip in it’s business graph. On Monday, Begum Jaan recorded 53% of drop than Friday and added the amount of 1.87 crore to it’s account. With further decline, the movie minted the amount of 1.59 crore on Tuesday and 1.49 crore on Wednesday. With this, total 6 days collection of Vidya Balan starrer has become 16.43 crores on domestic box office. 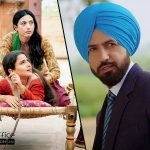 On the other hand, Gippy Grewal and Sonam Bajwa starrer romantic comedy Manje Bistre remained unaffected and reported amazing performance at box office so far. 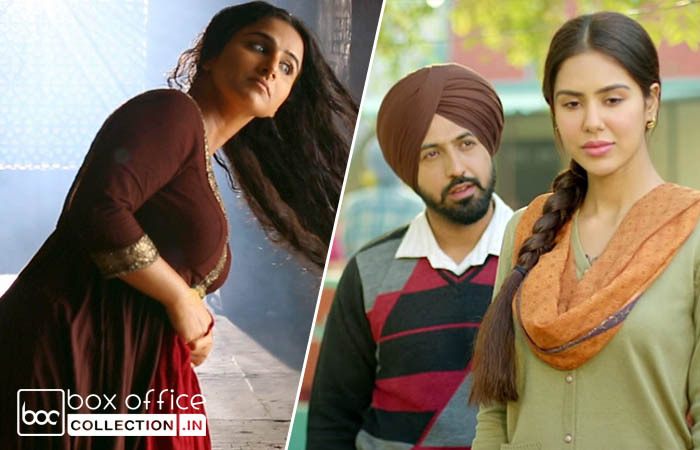 In the opening weekend, with excellent occupancy it did the business of 7.02 crores, which was including 2.25 crores of Friday, 2.18 crores of Saturday and 2.59 crores of Sunday. Now it is running in weekdays and getting lower footfalls than weekend but still has good hold over the audience. On Monday with 44% of drop than Friday, it managed to collect the amount of 1.27 crore. Then with further decline, Manje Bistre garnered 1.06 crore on Tuesday and 1.03 crore on Wednesday. After 6 days, it’s total collection recorded as 10.38 crores domestically.